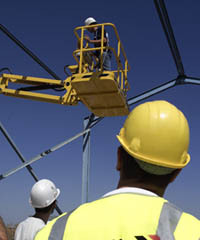 The IPAF was set up in 1983 and aims to promote the safe and effective use of powered access worldwide. Effectively we serve as a forum for anyone active in the powered access industry, we are a not for profit members organisation representing the interests of distributors, manufacturers, users, training and rental companies. 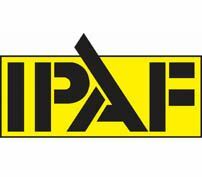 IPAF have played a key role in establishing and promoting many of the design, safety and testing procedures that are currently established in the powered access industry. Each year more than 80,000 operators are trained through a network of over 400 training centres worldwide, our certified training programme conforms to ISO 18878. Members have access to a wealth of practical, valuable information on technical. commercial and legal aspects of platform use. Membership enables the opportunity to influence regulations and legislation governing platform use. Many services are provided without free of charge such an insurance management system, a business information service and a specialist advisory service. For more information about becoming a member or to view the directory of our current members, please visit our website. Alternatively, you can call a member of our team who will be happy to assist you with any questions you may have.